That is a great question. In fact, that is one of the first and most common questions people ask. This is understandable; after all, chances are you are paying good money for your premiums, not to mention deductibles and co-pays. Your employer has no doubt touted the benefits of each plan, which seemed generous at the time. 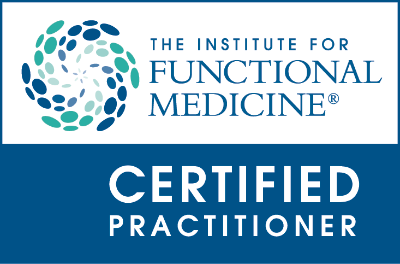 So where does Functional Medicine fit in? The short answer is found in your insurance policy. I recommend that you first carefully review your policy, checking for any reference to "preventive" services, or possibly "nutritional counseling". When in doubt, it is best to call your insurance company directly and ask them if any of these types of service are covered under your plan. To understand the long answer, we must first make an introductory venture into the world of so-called "health" insurance. The first thing that you should know about health insurance is that the term is a misnomer; your health insurance company (be it Blue Cross Blue Shield, Aetna, Cigna, Humana, or worse, United Healthcare) has not made your health their top priority. How can this be? Well, let's do a little research. Quick Google searches show that the elder of the insurance companies, Aetna has been around since 1853. Blue Cross plan was introduced in 1939. Humana was founded in 1961. And, United Healthcare is the new kid on the block, formed in 1977. Since insurance companies are private corporations, this may go without saying, but it is worth highlighting here: in order to survive, health insurance companies must turn a profit. This is true of any company, family/household, or individual. You must make more than you spend. By definition, this means that they must take in (revenue) more than they pay out (expenses). This means that their customers (that is you) must pay more in premiums (as well as deductibles and co-pays) than they pay back out on your behalf (in the form of benefits, or covered services). Functional Medicine itself requires the doctor to spend an enormous amount of energy behind the scenes between your appointments. This time spent on your behalf includes careful review of extensive new patient intake forms, deeply interpreting lab results and putting them together, attempting to find the underlying common cause or causes of the problem. This may also take research and review of the newest published studies as they come hot off the presses. No other healthcare discipline goes this far or invests this amount of time on each patient. Unfortunately, I have only so many hours in a day, and I would rather devote that time to your case, (researching and reviewing your case, preparing information and treatment plans, and answering your questions), than wrangling with insurance bureaucrats, none of whom have any medical training themselves and thus lack the understanding that Functional Medicine doctors have. Like most Functional Medicine doctors, I would love to provide the convenience and assistance of filing insurance for my patients, but with the time and energy constraints, I find that I cannot do both well. The bad news is, Functional Medicine providers do not file your claim for you but we provide you with a receipt, which you may submit to your insurance. The good news, though, is the most important: Functional Medicine providers are not bound by the arbitrary rules of insurance, and our time can be spent where it counts: Devoted to YOU. The codes the insurance company likes to have essentially reduce you to a Dewey Decimal-like system of numbers. Every established disease (official diagnosis) has a 4- or 5-digit number, in the form of "123.45". Each recognized type of treatment has a 5-digit code, too, in the form of 12345. Although the two numbering systems are different, each recognized disease corresponds with its appropriate (aka conventional) avenues of treatment, and vice versa. So what is the problem? The difficulty arises in that these coding systems are old and outdated. They fail to consider dysfunction (i.e. breakdowns in healthy functions or processes, the earliest signs of disease) and they usually neglect to include contemporary health issues. In other words, there is a language barrier between Functional Medicine and health insurance, especially considering that health insurance is actually structured around — and oriented toward — conventional medicine, which intervenes only when the dysfunction has advanced for years to decades, resulting in a blatantly recognizable, established disease condition. The common scenario is this: you start to feel that something is not quite right. You visit your conventional/regular doctor, who runs the blood tests and, after scanning them quickly, says "everything is normal". You know that it is not, but now they are hinting that it is all in your head. Meanwhile, your health does slide further and further away from healthy ranges, toward the outlying borders of "normal" and eventually it does cross into "abnormal" territory. This may be years later, and by then it may or may not be too late to effectively use natural methods. However, the insurance company now has a number it can assign you, a little numeric box it can neatly put you into. They are happy because they have been satisfied. But what about you? 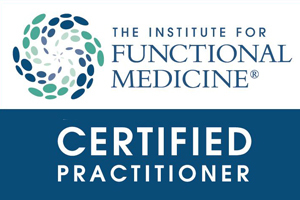 That is where Functional Medicine comes in, and hopefully you will be able to see a Functionally-oriented doctor before you reach the disease point. With any luck, your insurance company will cover at least part of the tab. If they do, look at it as a secondary bonus, and if they do not, simply consider it part of the cost of living. After all, when owning a vehicle, we understand that if we do not invest in maintenance, the car breaks down and stops working. We must pay for regular oil changes, state-mandated vehicle inspections, license plate tags/stickers, brake pads (which are actually designed to wear out! ), tires, and many more. Why give your body any less? Make your health your top priority, even if it is not your insurance company's. Why? Because you only have one body, and it only treats you as well as you have treated it. We are a product of the decisions we have made every day. Up until now, people have relied on their insurance coverage for any kind of medical care. But if we want a different result, we may have to consider a different approach, ­whether an out-of-touch insurance company thinks it's medically necessary or not.